It's a blazing summer afternoon in downtown Chattanooga. Inside the cool, inviting space of the Chattanooga Whiskey Experimental Distillery, a bartender pours relief in the form of a tasting flight of four bourbons and two bourbon cocktails in a former manufacturing plant along the city's former whiskey row. Chandeliers made from bourbon barrel staves and rings and vintage Edison bulbs illuminate rows of bourbon bottles lining the reclaimed wood and iron pipe shelving along the bar. A mirror behind the shelving reflects the factory's original, century-old brick wall. After a 100-year hiatus thanks to laws that originated in the Prohibition era, Chattanooga is making whiskey again, thanks to Chattanooga Whiskey Company co-founder and CEO, Tim Piersant. Piersant, 37, challenged and changed the city's long-standing prohibition law in 2013 to resurrect the whiskey-making tradition of his beloved hometown. Although prohibition was repealed nationwide in 1933, Tennessee banned liquor production until 1937, when three counties went wet—Lincoln, Moore, and Coffee. In 2009, Tennessee granted 41 more counties rights to manufacture liquor, but not Chattanooga's Hamilton County, due to local opposition. Piersant wanted to change that. He launched social media campaign in 2001 garnered thousands of followers, which lead to media interest. A “Vote Whiskey" campaign throughout Chattanooga followed and in 2013, the city's prohibition law was repealed. Two years later Piersant made his first legal batch of whiskey in Chattanooga, which he aged and released to the public in 2017. To legally qualify as a bourbon, the spirit must follow federal government regulations, including United States production with at least 51 percent corn. The bourbon must be distilled at or below 160 proof, barreled at or below 125 proof, in new, charred oak barrels for at least two years, and bottled at 80 proof or higher with no added colouring. “Our flagship expression is a traditional bourbon whiskey, only much more complex," says Piersant. “We use yellow corn, malted rye, caramel malted barley and honey malted barley, and the result is a more malt-forward whiskey with a deeper, longer-lasting finish," known by its trademarked name, Tennessee High Malt. Back on the long wooden bar, the flight's first two bourbons come from batches that Piersant produced in Indiana and bottled in Kentucky before 2013 to illustrate how ridiculous it was not to be able to make whiskey in Chattanooga. The 90-proof Reserve smells of vanilla, spice and sugar cookies and has a medium body and spicy finish. The 113.6-proof Cask smolders, like the sun on the sidewalk outside the distillery, while the flight's third and fourth bourbons flood the mouth with nutty, sweet heat then trail down the throat with a butter-brickle warmth. “They're the only group of bourbons produced from grain to glass at the Chattanooga Whiskey Experimental Distillery," says Piersant, who uses a custom-made, 100-gallon, copper and stainless steel still, affectionately called “Doc," to create his recipes. These experimental bourbons are technically bourbons, but with a signature twist. For example, Piersant might use an abundance of malt, extend traditional fermentation times, and finish some batches in barrels from a local beer brewery. “I've always loved trying to pave my own path and do things differently," says Piersant. “The idea is to celebrate what's good about something, but then push the envelope and make it better." In August 2018, Piersant released his tenth Experimental Single Batch series, which means he released 10 batches of bourbon — each batch ranging in size from one barrel to eight barrels — in 12 months. To handle product demand, Chattanooga Whiskey Company built a new production facility near the Experimental Distillery in 2017. The idea was to scale up the best recipes from the experimental line, keeping the Experimental Distillery as an innovation hub and a place for tours and tastings in the ever-growing South Side neighborhood. “There's been a huge resurgence of bars, musical venues, comedy clubs and other forms of nightlife around South Side partly because we've set an example for other young entrepreneurs," he says. 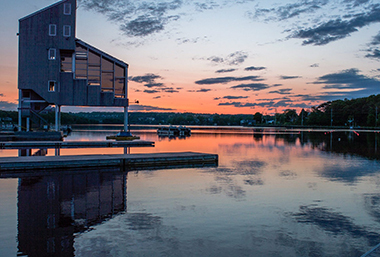 Maritime hospitality mixes with hipster charm — crack a lobster claw, uncork the wine, and join in. 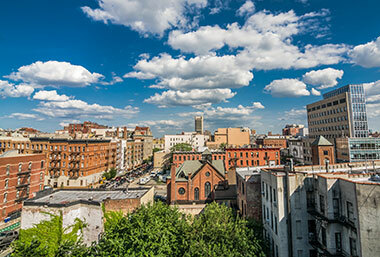 If you want to feel the pulsating energy of New York City , head up to Harlem for jazz, soul food, art and nature. Rolling hills and fine wine. 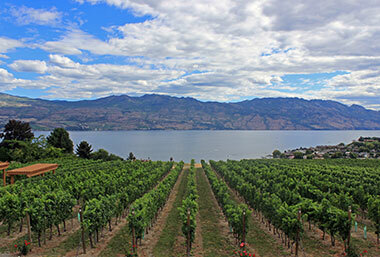 After a four-day wine tour in Kelowna, BC, it will be clear why the region is known as Napa of the North.